Thanksgiving Holiday & Black Friday Shenanigans! I like to start these posts each year by taking a moment to thank everyone who's supported the store. This year has been hard on a lot of folks and we appreciate everyone who has taken time to shop here with us and support your friendly local gaming and comic shop on the hill. We hope that you're taking some time out of your schedule to spend time with friends, family, loved ones, or whatever else you do around this time of the year to give thanks. 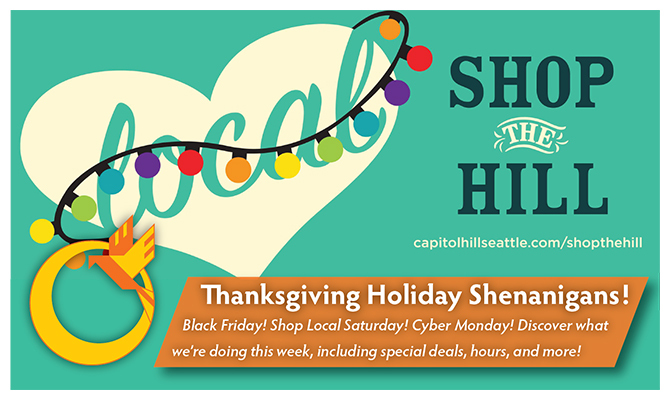 We'll be closed this Thursday, November 23rd for Thanksgiving, and open Friday with modified hours to kick off Black Friday and Shop the Hill Saturday. All of the promotions mentioned here will be good through the whole holiday weekend. Read on to find out more! We'll be open 10 AM - 9 PM Black Friday. That's an hour earlier than we normally are and closing up a couple of hours early to give our staff a bit of a break. Cause we'll be back and open Saturday at 10 AM too! As a consequence to this - there will be no Friday Night Magic this week! We'll be back on schedule next Friday with more drafting and Standard! This year we're trying something a little different than just straight up discounts. We want to reward folks who took the time to come out and pick something up with a little something to help with a future visit to the store. So we give you, our Holiday Gift Certificates. How it Works: For every $50 you spend in the store, we'll issue you one of these $5 gift certificates. These are usable on just about anything in the store, don't expire, and can be used anytime starting Monday, November 27th! More Promotions Starting Black Friday! 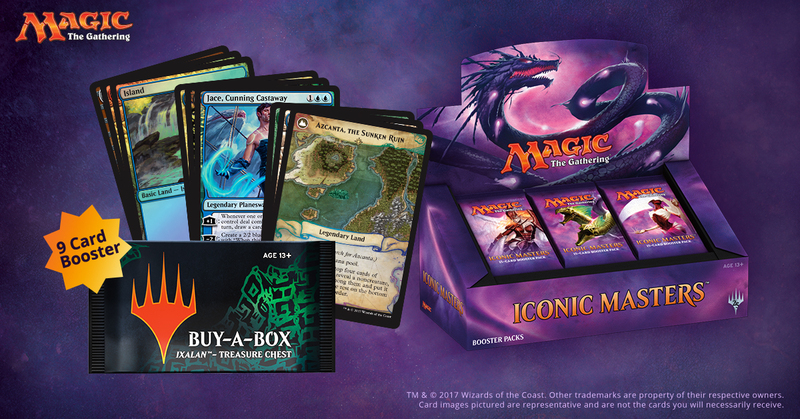 Buy any Booster Box and we'll include a special buy-a-box treasure chest (while supplies last) including one of a randomly selected double-sided card from Ixalan with alternate promotional artwork! Not exactly a promotion, but we'll have a few of these great gift sets Friday when we open! Available while supplies last!